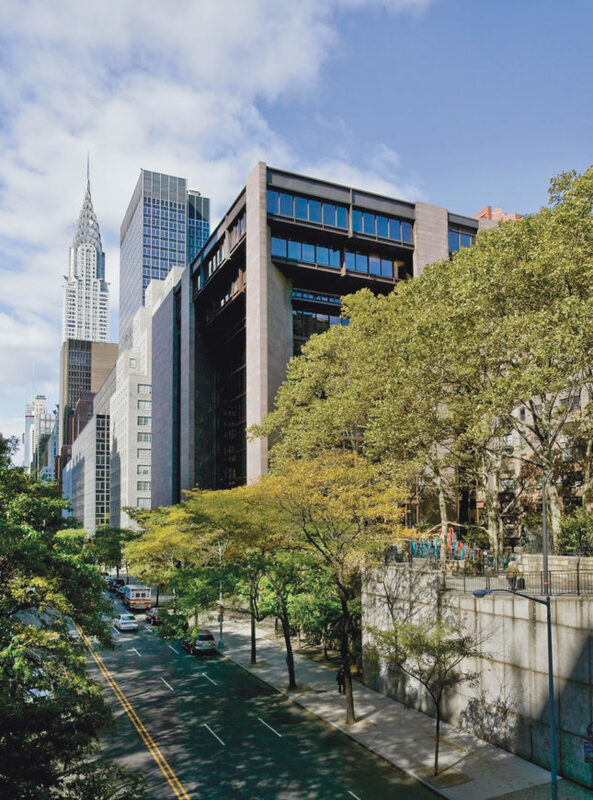 On April 19, the Landmarks Preservation Commission (LPC) approved the $190 million renovation to the Ford Foundation Building at 320 East 43rd Street. 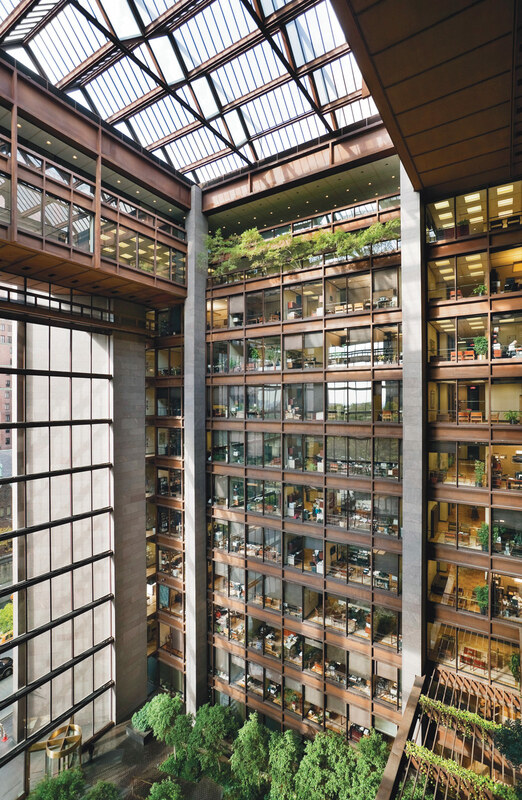 The building, designed by Kevin Roche John Dinkeloo and Associates with its iconic atrium by designer Dan Kiley, has been largely untouched since it was completed in 1967. In 1997, the LPC designated the exterior, atrium glass walls, and garden of the foundation headquarters as official landmarks. The new upgrades are mostly focused on bringing the building up to code and will be conducted by Gensler with Bill Higgins of Higgins Quasebarth & Partners as consultants, while Raymond Jungles Studio will handle the plantings. This undertaking will include doubling conference space and dedicating two floors to other nonprofit organizations, creating a new visitors center, art gallery, and public event spaces, and reducing Ford’s own office area by one-third. However, at the presentation in April, commissioners and Historic District Council (HDC) director of advocacy and community outreach Kelly Carroll had reservations. Carroll pointed out that many of the buildings the HDC reviews have little evidence of their former glory, while the Ford Foundation still retains its original brass doors, planters, modernist tile pavers, and signature indoor-outdoor flow—a rare gift. “An approval [to remove features] today can easily be a regret a generation from now,” she said. In particular, she voiced concerns over removing planters—which are currently ADA compliant—and suggested that the team look into automating the bronze doors rather than tossing them. Others, such as Tara Kelly of the Municipal Art Society, expressed similar concerns and suggested more greenery on the facade and entrance on 42nd Street. In the end, commissioners voted to approve changes. The renovation is expected to be complete by 2019.